What's So Great About Him?. Quasi is trying to get Esmeralda's mind off of TUlio द्वारा telling her he is worthless and not worth her time, but her mind wanders to the happy times she has had with Tulio. 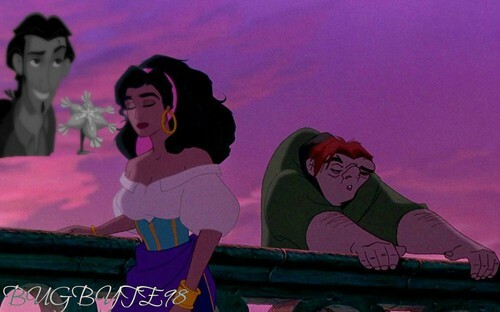 HD Wallpaper and background images in the डिज़्नी क्रॉसोवर club tagged: disney crossover dreamworks esmeralda tuilo quasimodo.